In 1938 at ten years old, Gary Schlosstein discovered a Civil War musket in a used goods shop. He saved up his allowance until he had the three dollars he needed to buy the musket. Once he got the musket home, he loaded it with gunpowder, put a marble in it, and aimed it at his sandbox. He never did find the marble again. Fortunately, the musket didn’t explode, either. But that musket started a lifelong passion of collecting historical memorabilia. 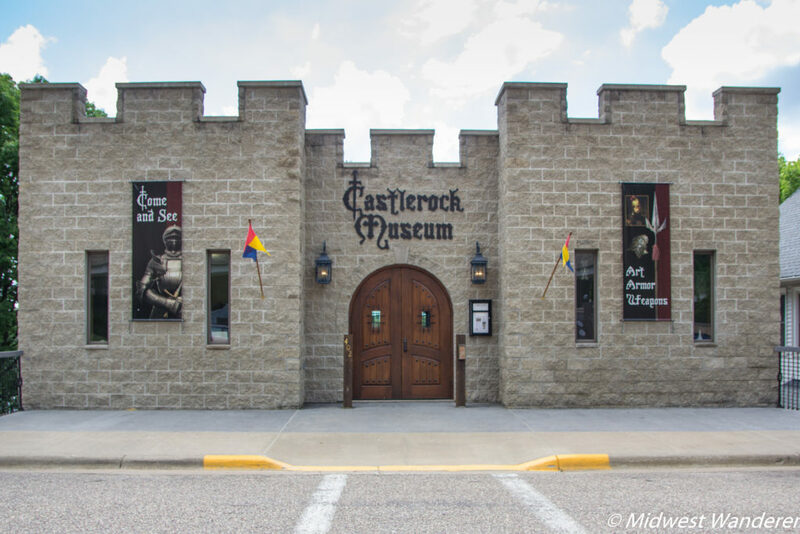 Over seventy years later, Gary founded the Castlerock Museum in Alma, Wisconsin, which specializes in arms and armor. 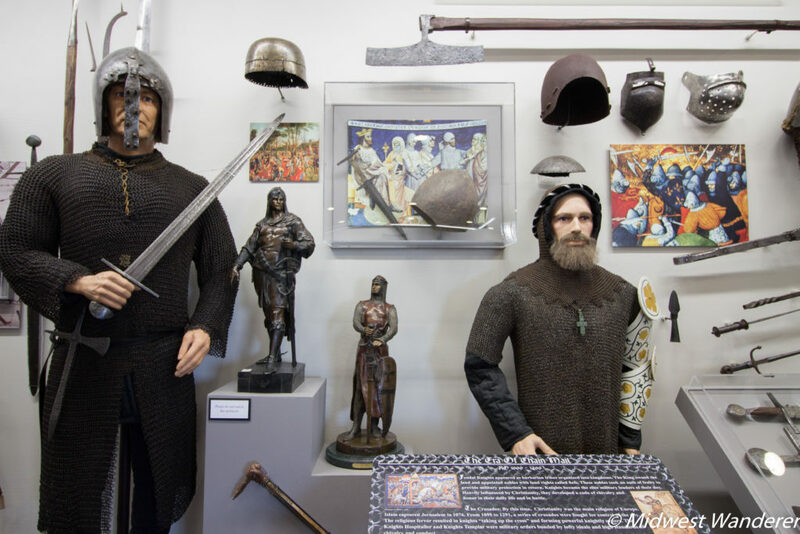 Although Gary collected historical memorabilia for decades, it was around 1980, when a friend talked him into buying a couple of medieval pole arms, that his arms and armor collection began. In 2011, he opened the not-for-profit Castlerock Museum to share his growing collection with the public. The building itself resembles a castle. 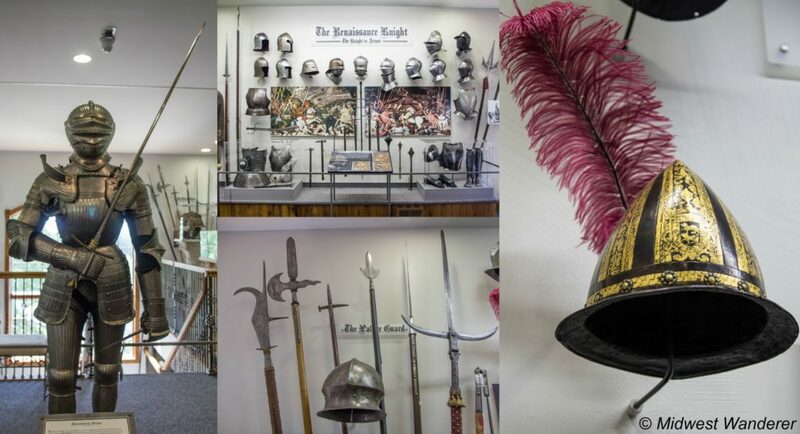 The museum boasts the most complete arms and armor collection in the Midwest. The collection includes artifacts from the ancient Grecians, Romans, Vikings, and the Renaissance, spread over two floors. 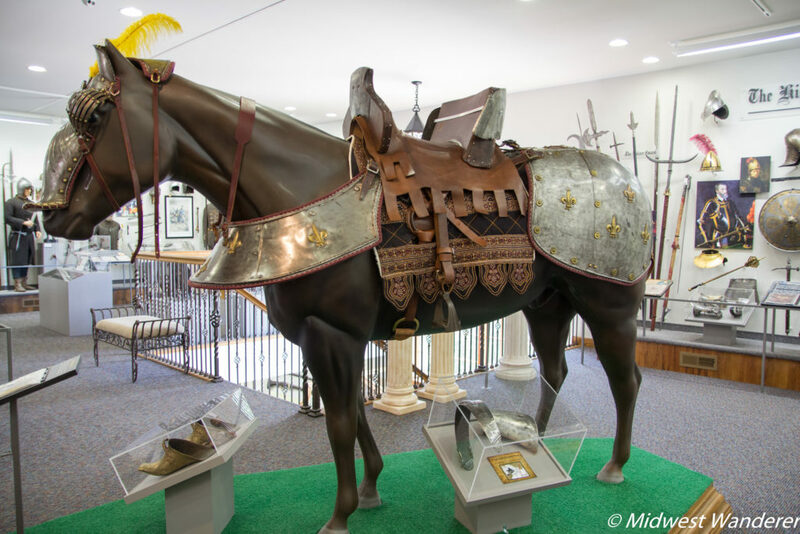 There is even a display of armor for horses. Styles of swords, lances, body armor and helmets are as varied as any fashion. Some were used in battle, while others were strictly ceremonial. A certain type of spear indicated the leader of the army. When asked how anyone was ever killed if everyone dressed in full armor, our docent pointed out that not everyone wore full armor. Metal armor was very expensive, so many wore heavily padded fabric armor. Padded armor was made of linen on the inside and outside, with multiple layers of cotton in between. Unless a sword was razor sharp, it was difficult to cut through the fabric armor. Understandably, it was also easier to move in the padded armor than in the full metal armor. Although full armor couldn’t be penetrated with a sword, spear or hatchet, they weren’t bullet proof. Consequently, the age of armor ended once muskets were invented. 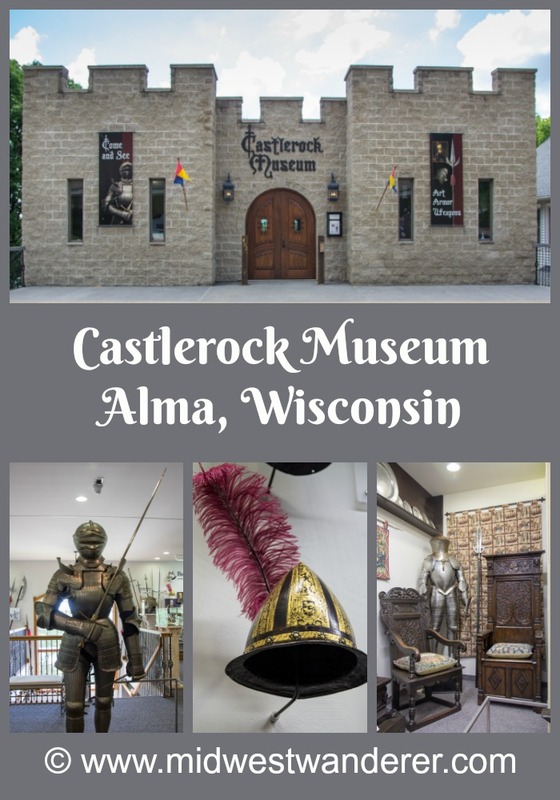 Castlerock Museum is located at 402 South 2nd Street in Alma, Wisconsin, just off the Great River Road. Check the museum website for hours and admission rates. ← Weather Ready Nation – April 3 is #SafePlaceSelfie Day!